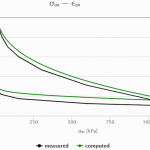 i hava a problem with the Oedometer curves after the automatic calibration with ExCalibre. 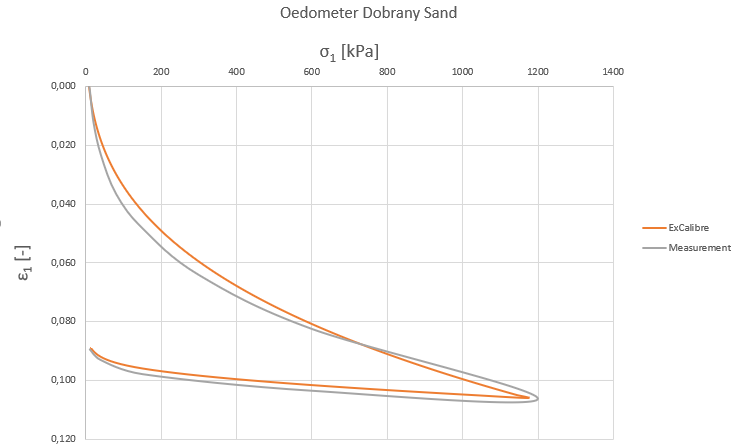 I took the Dobrany sand dataset for an automatic calibration and then i copied the results of the Oedometer test into an Excel sheet. In the same Excel sheet i saved the measurement data of the dataset and plotted the Oedometer curve with Excel. The graph created with Excel is different to the graph of ExCalibre. 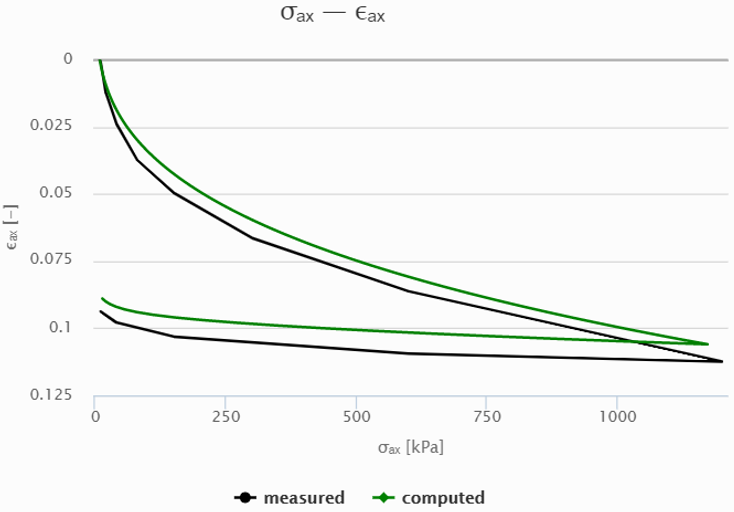 What i also observed was, that for example the maximum strain for the Oedometer test of the measurement data is different to the maximum of the ExCalibre graph. 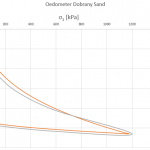 Both figures – oedometer curve Excel and oedometer curve ExCalibre- are attached. Maybe anyone can tell me the reason for that? I think this is because transforms laboratory data from engineering strain (Delta h/h0) to natural strain (dh/h). Please try to transform them in your spreadsheet to see whether you get the same results and let us know.